Aroma: Very malty on the nose. Not much in the way of hops. A bit of alcohol on the nose, but it is mostly hidden by the malts. Appearance: Pale amber in color, there is a medium carbonation. It raised a light colored head, which fell to a ring of bubbles. There is something floating in the beer, perhaps a chill haze appearing. Flavor: Rich and Malty, there are hints of pear, banana, clove, and bubblegum. Not much from the hops, but that is expected in an Abbey style ale. Mouthfeel: This brew is quite heavy. The carbonation lifts it a bit, but it sits well on the palate. Overall Impression: This is a tasty brew, and really exemplifies the style. 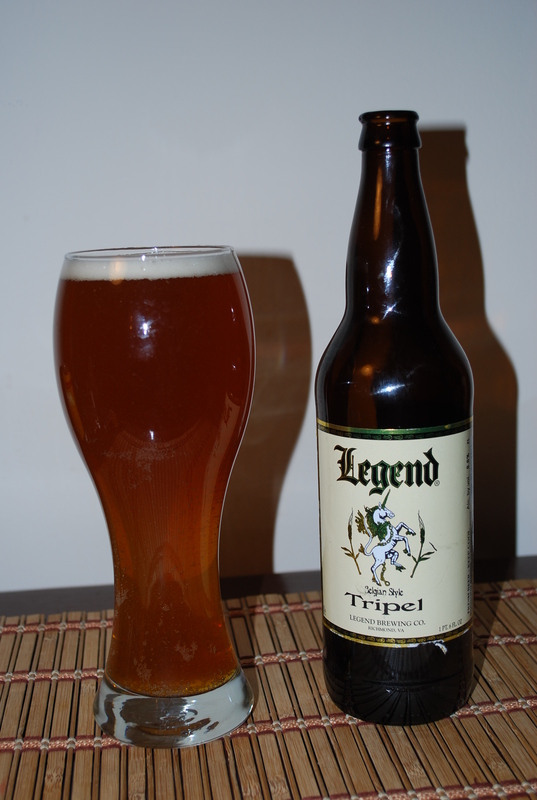 This is a great beer for a cold snowy night, or to have after a day of picking apples in the fall (you guessed it!). I might suggest having it with Thanksgiving dinner or a spicy Cajun dish. Unicorn again… what can I say?